Tradelocks brings you the the UAP Kinetica 3* Kitemarked Euro Cylinders powered by Fullex, that resulted from the combination of the expertise from UAP Tradelocks and Fullex. 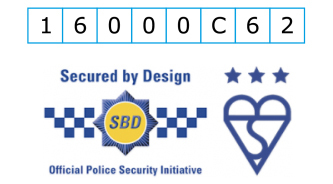 The UAP Kinetica 3* Kitemarked Euro Cylinder has received 'Secured by Design' approval from the Association of Chief Police Officers and uses our own patented timing pin system, while combining at the same time the Fullex anti-snap solution. The Fullex anti-tilt mechanism on the Kinetica cylinder is a very clever and a simple notion that they have a patent pending for. Basically, in normal anti-snap cylinders once a cylinder is snapped at the outside end, the inner section is heavier and will tilt allowing the burglar a small gap to gain access to the bolt. And with the Fullex anti-tilt ring this doesn't happen. By using a standard keyway not only it means that replacement keys can be readily cut for the Kinetica cylinder but it also means that UAP timing pins can be used, stopping cylinder entrapment. It is possible to re-pin the UAP Kinetica 3* Kitemarked Euro Cylinder as a keyed alike or even master suite range. And uniquely the Kinetica cylinder can even be keyed to the UAP+ 1* cylinder range or UAP rim cylinder. The 3* Kitemarked Euro Cylinder is available in satin nickel, polished brass and polished chrome because we believe that the market really wants a full finish euro cylinder and it can be used to match the rest of the door hardware.